Read this before you head to the theatres to watch Shah Rukh Khan's next big release. 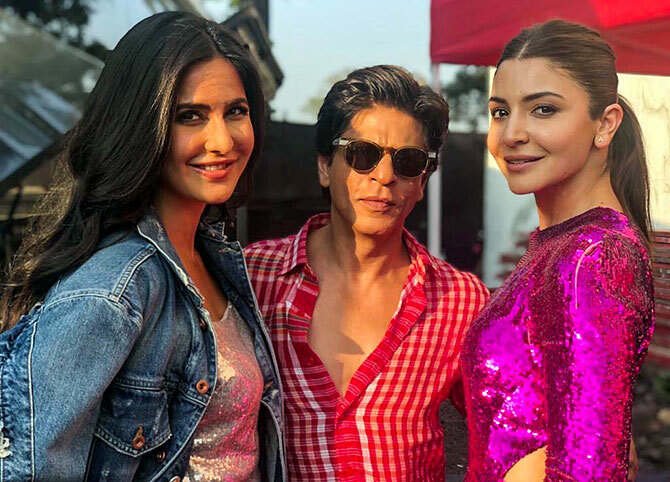 The year closes with Shah Rukh Khan's big release Zero, co-starring Katrina Kaif and Anushka Sharma, and there's predictable enthusiasm around it. Directed by Aanand L Rai, the curious looking drama portrays its three leads in never before seen avatars. Ever since its trailer dropped, everyone is eager to see if it will live up to the hype, especially when the other two Khans -- Salman and Aamir -- ended the year on downers like Race 3 and Thugs of Hindostan. While we wait for Zero to hit the screens on December 21, Sukanya Verma discovers some interesting nuggets just for you. 1. 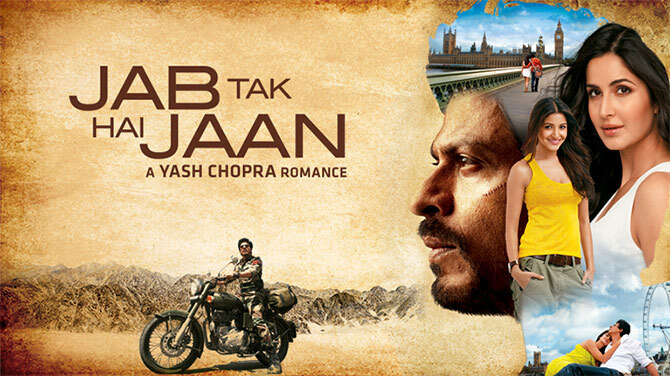 The combination of SRK, Katrina Kaif and Anushka Sharma first appeared in Yash Chopra's romantic triangle, Jab Tak Hai Jaan. 2. SRK plays a dwarf in Zero. Before him, Kamal Haasan (Appu Raja) and Anupam Kher (Jaan-E-Mann) are some of the actors to do so. Meanwhile, Anushka Sharma's character suffers from cerebral palsy, a disorder that was extensively focused on through Kalki Koechlin's central protagonist in Margarita, With A Straw. 3. At some point, the makers wanted to name the movie, Katrina Meri Jaan. 4. SRK's last three releases were home productions like Zero in collaboration with other production houses. His last movie outside Red Chillies was Yash Raj Films's Fan. 5. 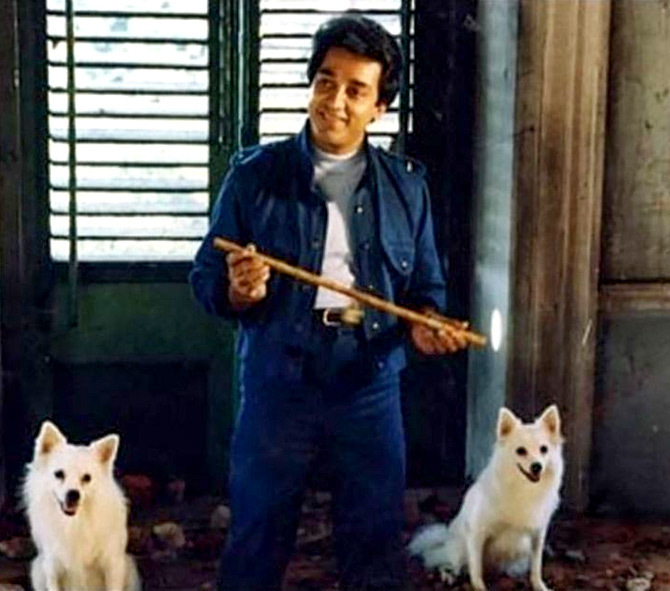 Zero is said to feature Sridevi in a super special song making this her final appearance on the silver screen following her sad demise in February. SRK and Sri first co-starred in the 1996 vendetta vehicle, Army, in which he had an extended guest appearance. 6. 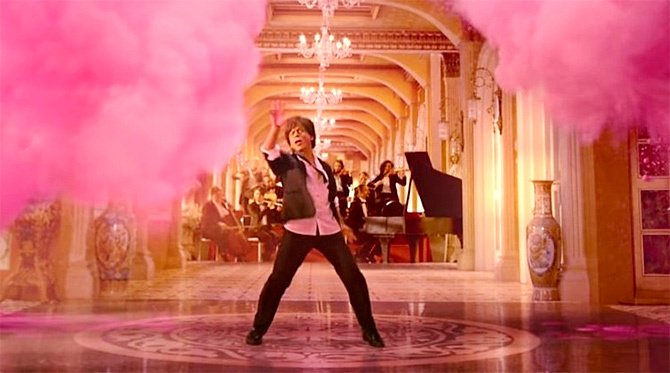 This is the first time composer duo Ajay-Atul has composed music for a SRK starrer. 7. Portions of Zero were filmed in the US. Some of SRK's other films to shoot there include Pardes, Swades, Kal Ho Naa Ho and My Name is Khan. 8. 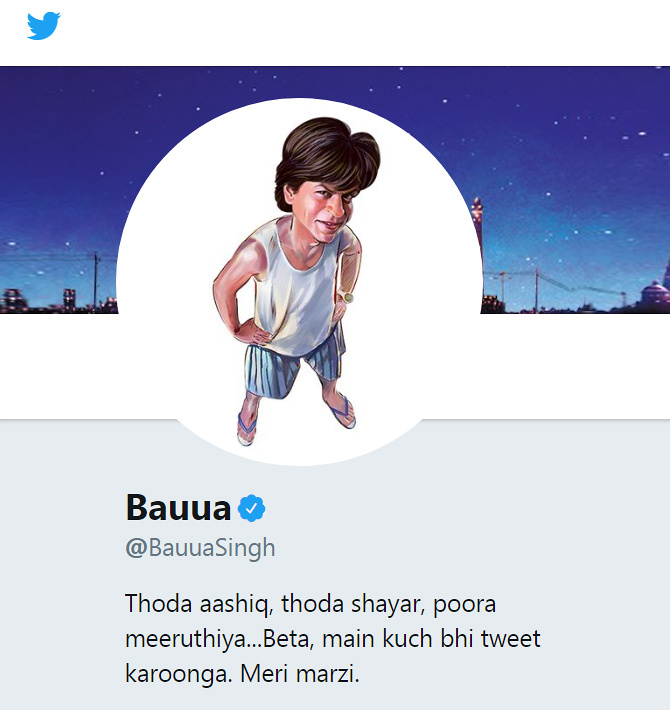 A unique Twitter profile of SRK's screen character Bauua Singh was created as part of Zero's social media promotion strategy. One can find amusing interactions between the actor and his on screen alter ego on their respective timelines. 9. 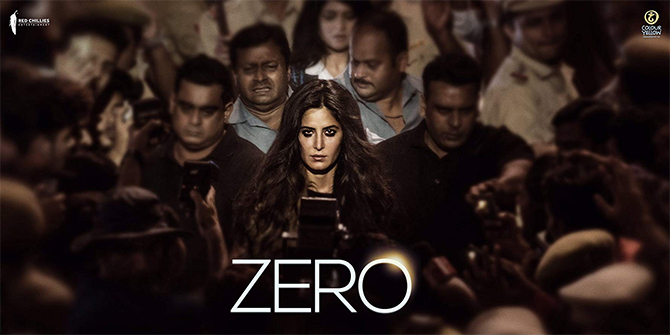 Katrina plays an actress with an alcohol problem in Zero. Earlier, the stunner played a wannabe starlet in Tees Maar Khan and a superstar inspiration in Bombay Talkies. 10 Director Rai roped in director Tigmanshu Dhulia to play SRK's dad. 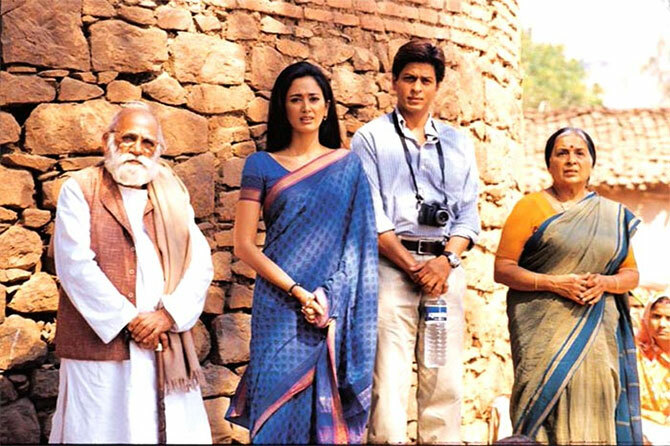 Other directors to share a frame with him include Lekh Tandon (Swades, Chennai Express), Ashutosh Gowariker (Kabhi Haan Kabhi Naa) and Karan Johar (Dilwale Dulhania Le Jayenge). 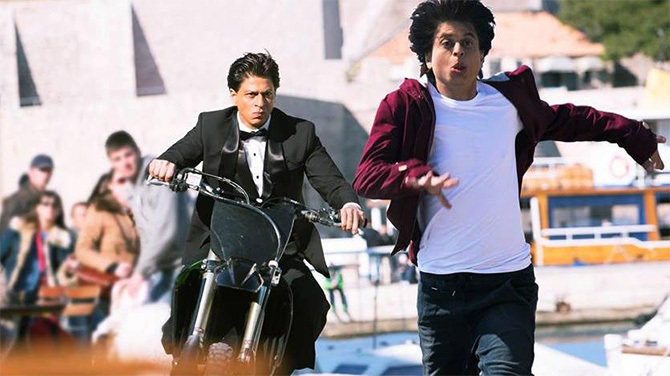 How many Shah Rukh movies have YOU seen?